Welcome to the Career Center at Boise State University. 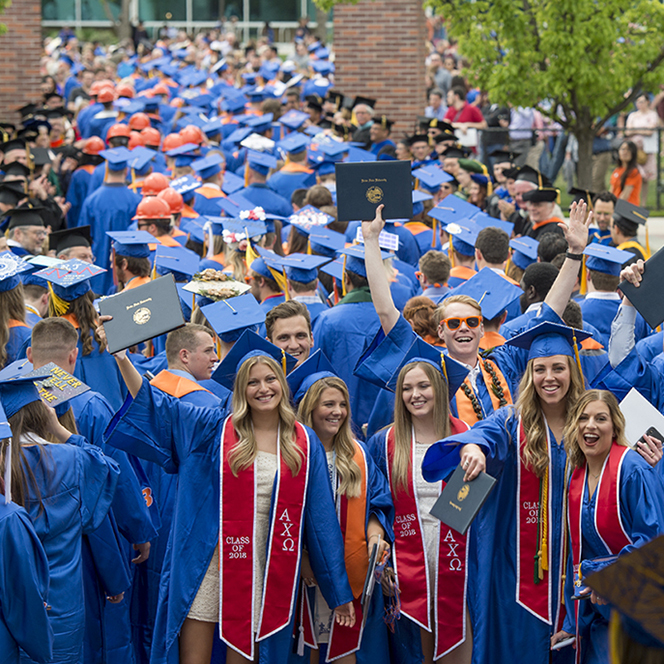 As an alumnus of Boise State University, you have life-long access to the Career Center. Our staff of professionals are here to assist you with your plans to start, transition, or enhance your career. Handshake is an online job search database for Boise State students and alumni. Employers list jobs (full-time, part-time, seasonal, on-campus, off-campus) and internships. Thousands of employers have registered and hundreds of opportunities are available 24/7. Learn more and register for Handshake. The Virtual Career Center provides tools and resources to help with your career planning or job search needs, and includes access to virtual workshops and career information databases. Visit the Virtual Career Center. Appointments must be scheduled in advance. Schedule your appointment online here, or call us at (208) 426-1747. Career planning generally involves getting to know who you are, what you want, and how to get there. Keep in mind that career planning is a continuous process that allows you to move from one stage to another stage as your life changes. Learning to navigate the career planning process now is essential, considering most people will change careers several times in a lifetime. Get additional information on career planning and career counseling. As part of career counseling, your career counselor may recommend a career assessment. Get more information on the career assessments we offer. Getting the job you want often requires having a strong network of people in your field who want to help you, as well as being one of the strongest candidates in your field. We can help you develop a customized job search plan, networking strategy, personal brand, and online presence. To make the best use of your appointment time, we recommend you visit the Virtual Career Center page on the Job Search Process and complete the Job Search Process virtual workshop before your appointment. Individual assistance with resumes, cover letters, or job applications is available from the experienced staff of the Career Center. To make the best use of your appointment time, we recommend you visit the Virtual Career Center page on Application Materials and complete the virtual workshop on Resume Strategies or the virtual workshop on Cover Letters before your appointment. Hone your interviewing skills with a simulated interview. To make the best use of your appointment time, we recommend you visit the Virtual Career Center page on Interviewing and complete the Successful Interviewing virtual workshop before your appointment. If you only have a couple quick questions and don’t need a full appointment, the Career Center offers 15-minute drop-in sessions where no appointment is required. These are available only during the fall and spring semesters, on Mondays, Tuesdays, Wednesdays, and Thursdays from 2:00 PM to 4:00 PM, when classes are in session. Learn more and get prepared for your Drop-In Quick Tips session here. The Career Center hosts several annual events intended to connect students/alumni with employers. View a list of events and details. The Career Center has computers available for students and alumni to use for career planning and job search activities. These computers are only available during our operating hours. We are extremely interested in your continued career success. Please come and visit us at the Career Center! Help current Broncos learn from your college and career experience! The Boise Alumni Association and the Career Center would like to invite you to join BroncoLink, Boise State University’s new career and professional mentoring program. Learn more about BroncoLink and join here. Jump To Section Services Available Online Services Available In-Person Hours and Location Looking to Give Back?